What are the roles and responsibilities involved? A Sonning Parish Councillor is one of 9 individuals, supported by the Parish Clerk, who are elected to represent the voice of residents within the village. This will involve engaging with local residents to ensure that their views are heard, understood and addressed. As part of the Parish Council you will have responsibility for managing local services and amenities such as the play areas, wharf, allotments, bus shelters and street lighting. As part of the Parish Council you will help to make decisions regarding the finances involved in delivering local services. You will be involved in working to protect and improve the built and natural environment of Sonning. This may involve contributing to long term policy development or being part of the team that assesses and comments on local planning applications. Working where needed on short term local projects. 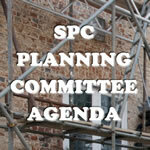 Liaising and working in partnership with other organisations, agencies or neighbouring parish councils where necessary. A Council Committee benefits from diversity and we welcome interest from people of different ages, backgrounds, experiences and abilities. Good communication skills, problem solving, analytical thinking and being a team player are all advantageous attributes. How much time does being a councillor take? 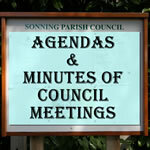 Once elected, Parish Councillors can sit on the Parish Council for a maximum of 4 years. If after that time, you wish to stay in post then you will need to stand for re-election. For more information about the process of becoming a Parish Councillor including important information regarding eligibility then please click here.